We awoke to a beautiful sunny day. 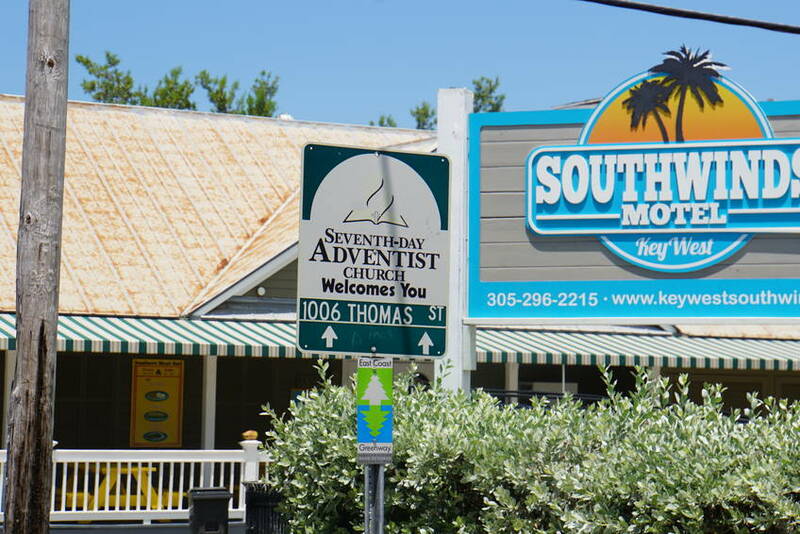 What a great day to travel further into the Keys. 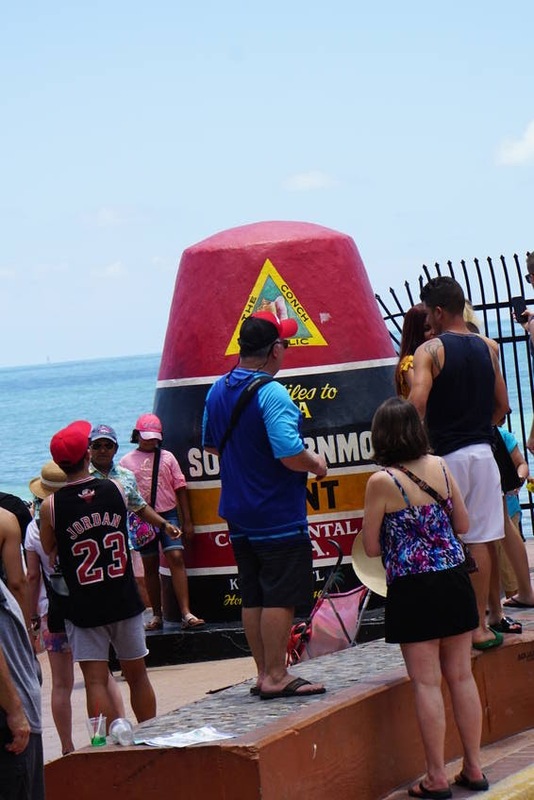 We traveled the 106 miles to Key West. 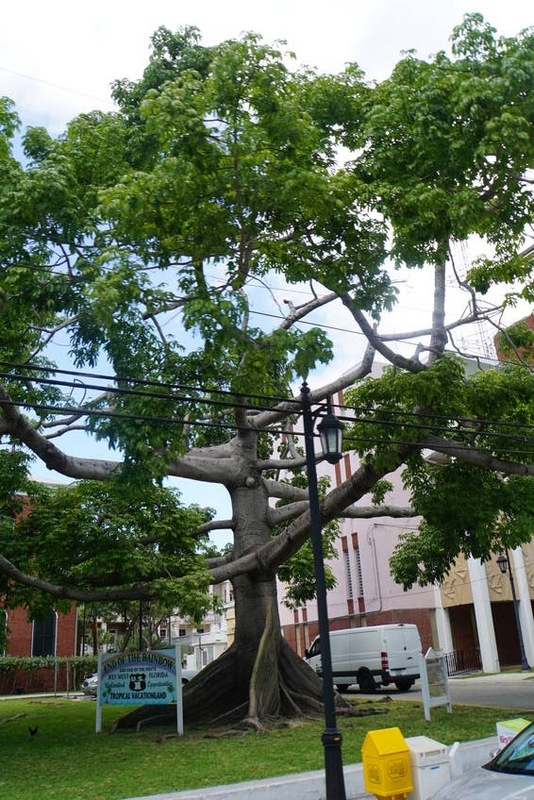 We have found out over the years of traveling, if you want to learn the history of a city take a tour. Most large states will have a sightseeing tour. We love those trolleys that you can hop on hop off ones the best. 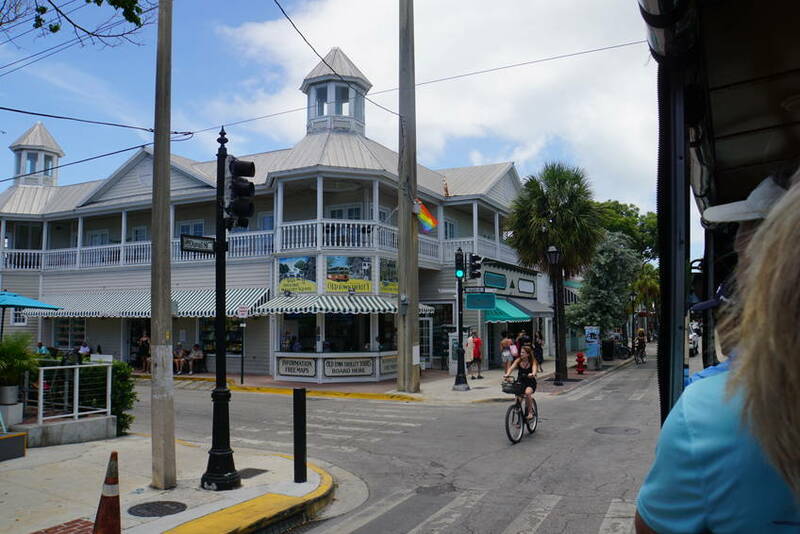 Key West had the Old Town Trolley Tours. What we do is ride the trolley round until we have heard everything. We then stay on it until we figure where we want to first explore then get off. 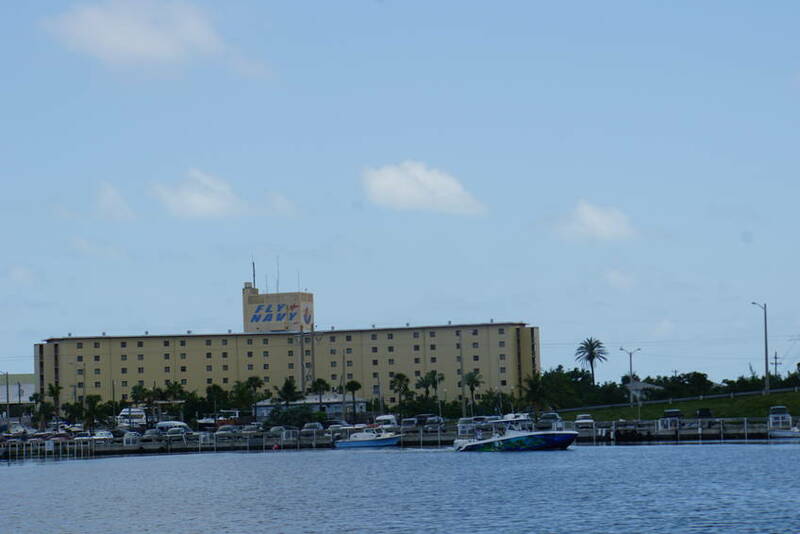 The tour starts at Mallory Square. The tour guide is the trolley driver. He was a wealth of knowledge. 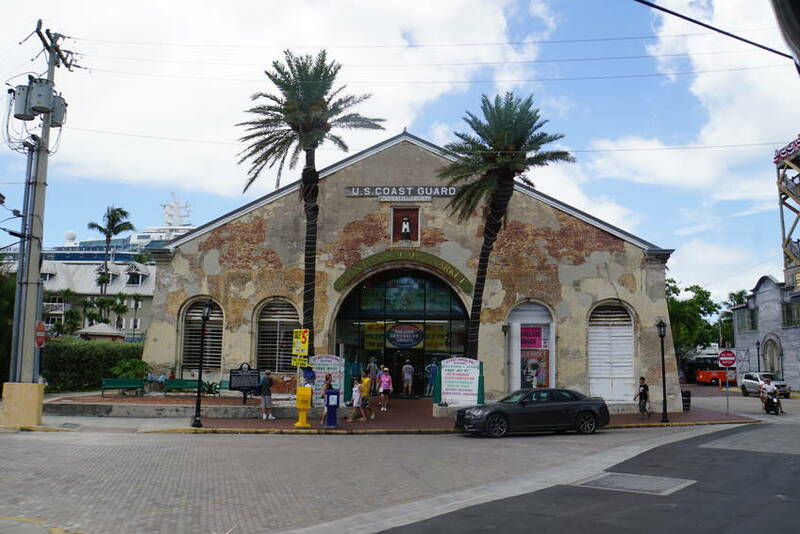 If you have time visit the Shipwreck Museum. 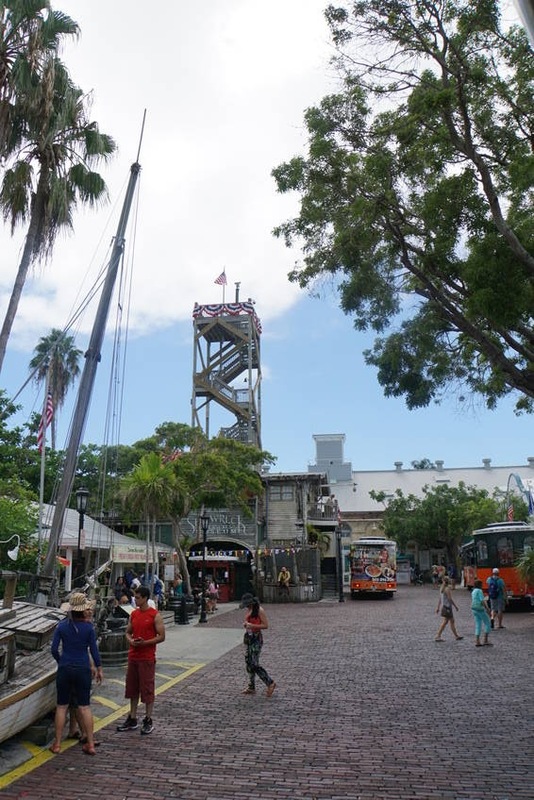 It shows where sunken ships were usually sunk by hurricanes or pirates. 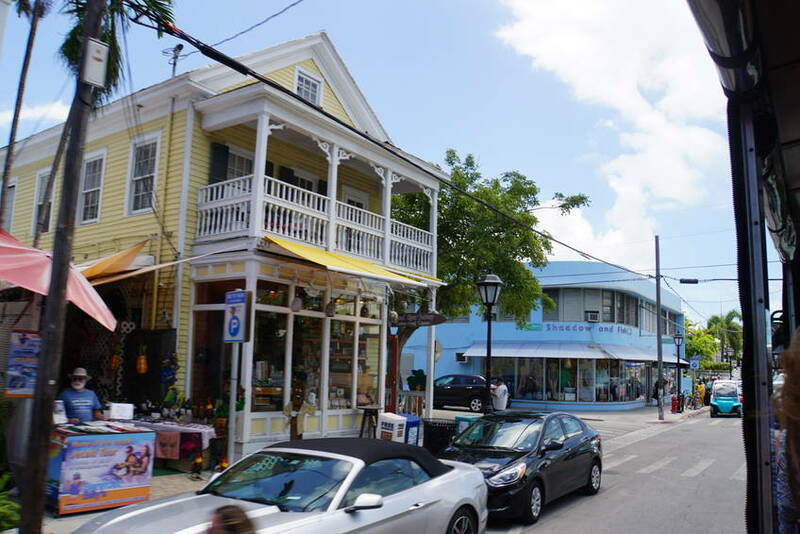 There is a very interesting story on how Key West accumulated its wealth. Well, ships would be venturing out with new cargo getting ready to go abroad to sell it or ships trying to reach harbor with its goods. Because when the waters of the Gulf of Mexico and the Atlantic come together they so abrasive it would cause ships to sink. 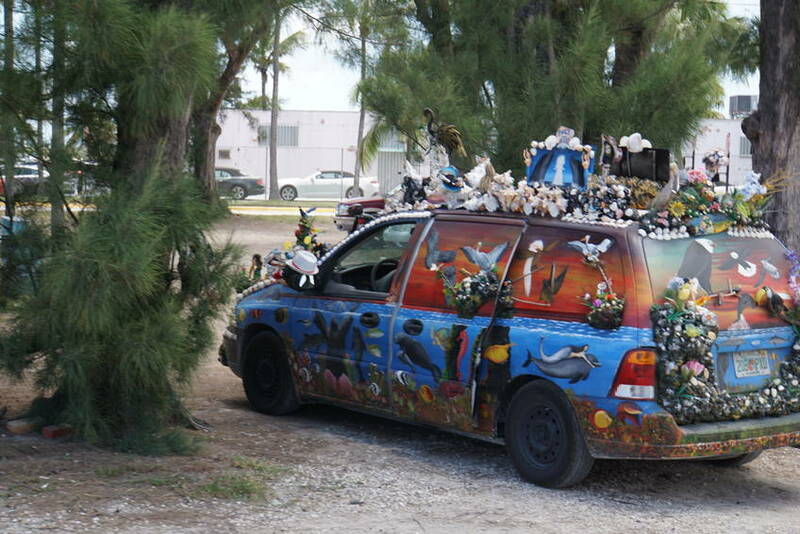 Well, the good people of Key West would go out and help rescue the people from the ships. They would then go back out and “rescue” the cargo. Well, according to Marine time law, whoever gets to the cargo first becomes the owner. The “owners” would now split cargo with the city then sell back to the real owners of the cargo. The real owners usually only got back 2 to 5% of their original cargo. The town people were so scandalous that they would even turn off the Lighthouse light so the ships couldn’t see where they were going, which caused sinking. This had gone on for years. This got so bad that the government had to step in to stop this stealing. By this time there were people you had become quite wealthy. On our tour we saw the Veterans Memorials for all the wars the US has fought. 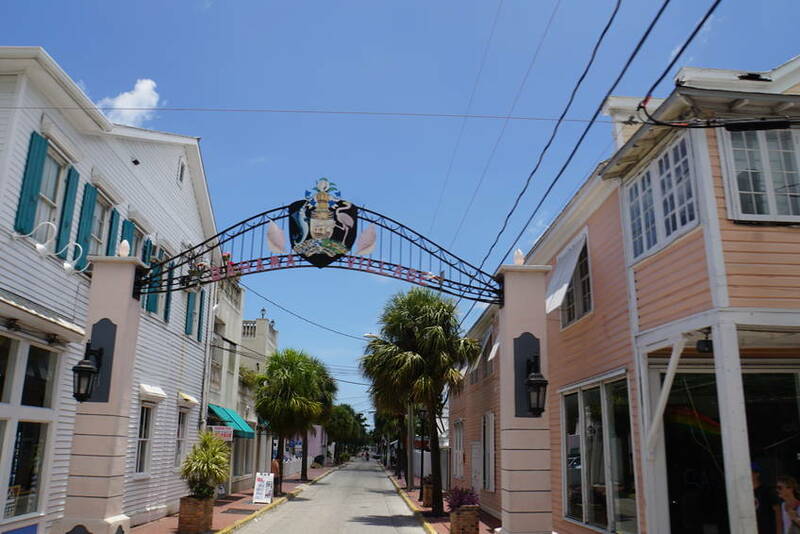 Did you know that even though Florida seceded from the Union, Key West remained part of the USA? Say what??? Yep. 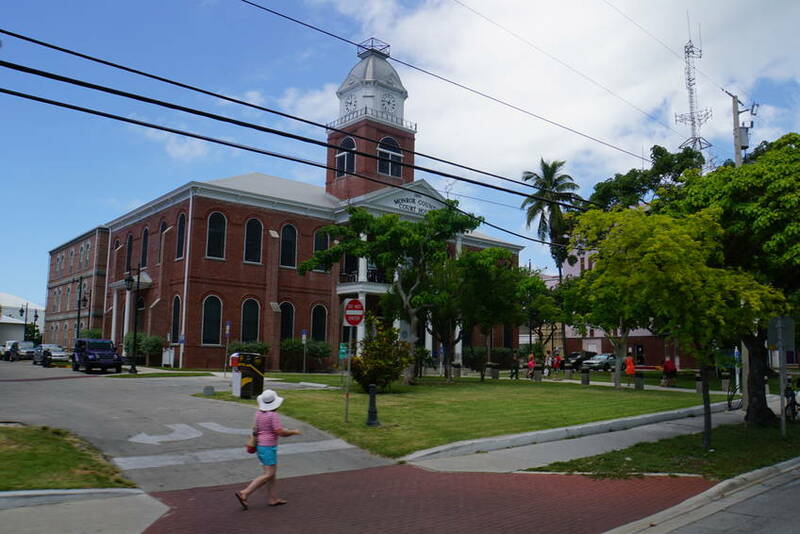 At the time of the Civil War, the Union had control of Key West because of the Navy this area never left the control of the Union. Never read that in my history books! 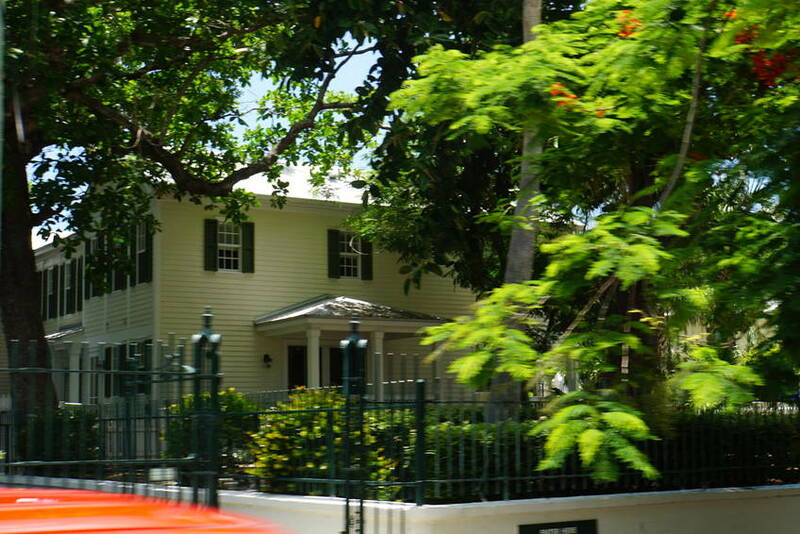 There are many shot gun houses in Key West. 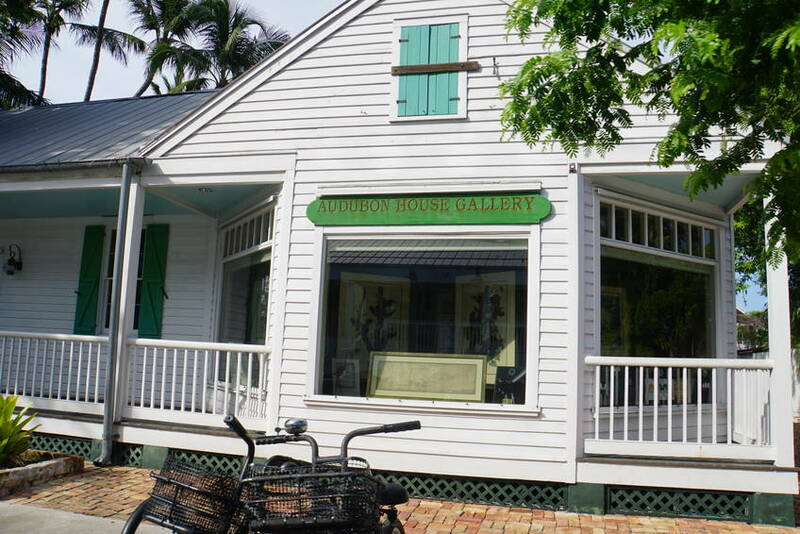 OK ya’ll don’t act you don’t know what a shot gun house is. 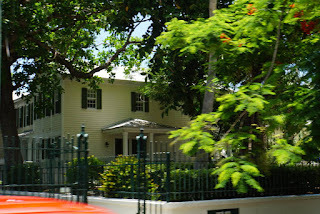 A "shotgun" is a narrow rectangular house, usually no more than 12 geet wide, with rooms arranged one behind the other and doors behind the other and doors at each end of the house. Ok. For those who don't know, you are still asking why?? 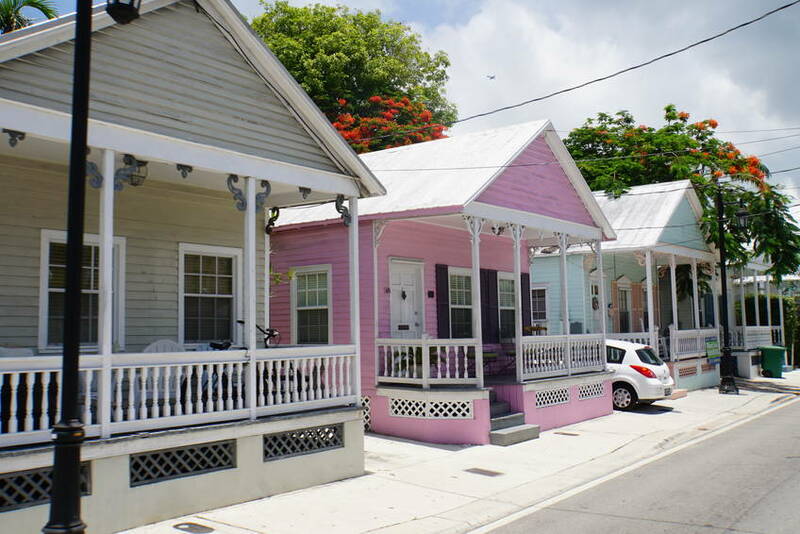 Because there wasn’t air conditioning in the 1800’s when these houses were built. So to keep the house cool you could open both doors and get a breeze for the entire house. It is called shot gun because a bullet can be shot from the front door straight to the back door without hitting a wall. I grew up in a shot gun house in Richmond, Cally. 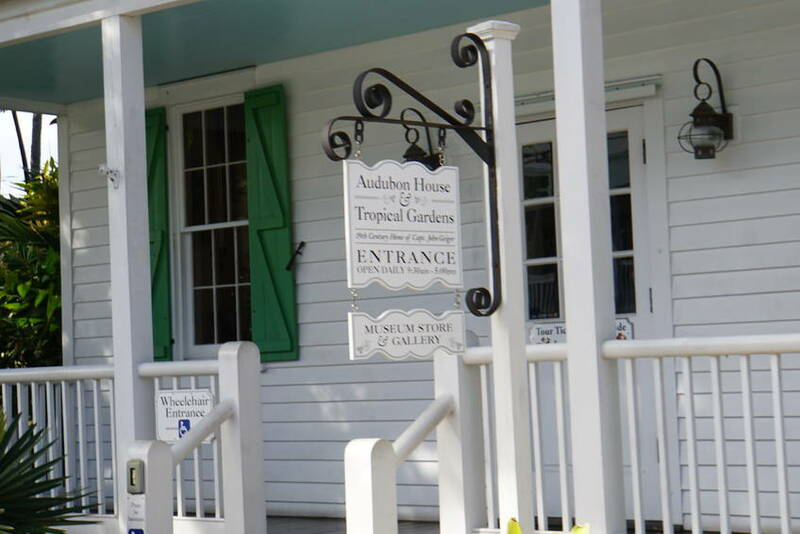 Did you know that there is an African Cemetery at Higgins Beach? Well, it is very interesting how it got there. 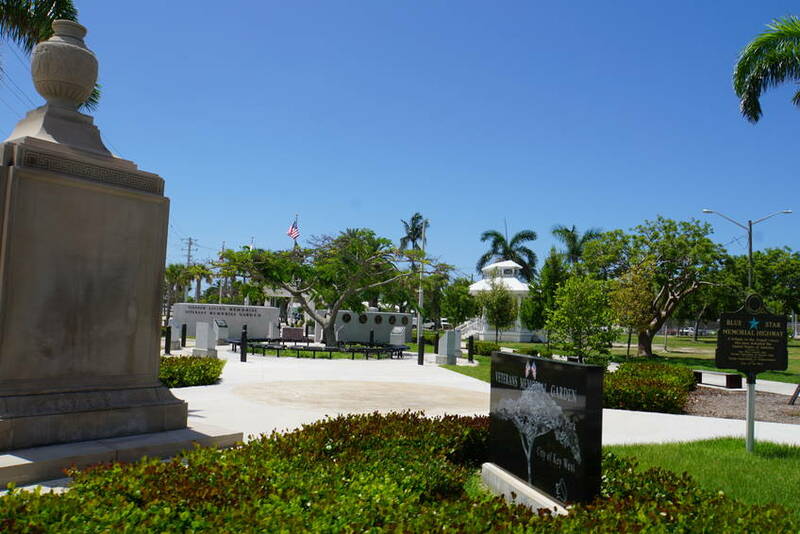 The graves are almost certainly those of Africans who died in 1860 after being freed by the U.S. Navy from three American-owned slave ships captured near the Cuban coast and brought to Key West for sanctuary. According to records kept by U.S. 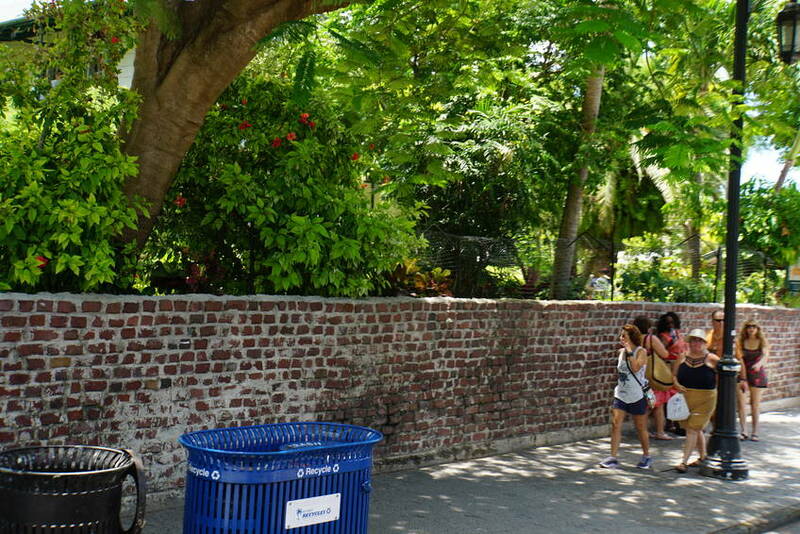 Marshal Fernando Moreno in 1860, more than 1,400 African men, women and children were transported to Key West after being rescued from the slave vessels. 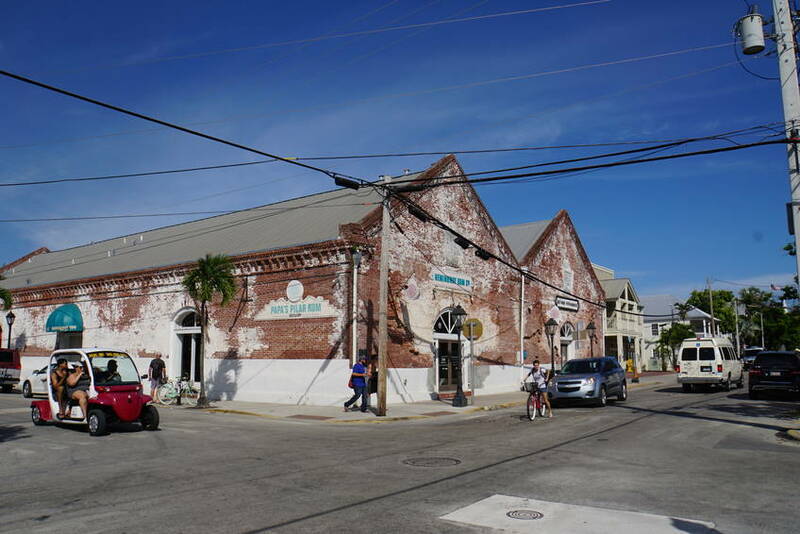 Key West workers quickly built housing and a hospital for them. 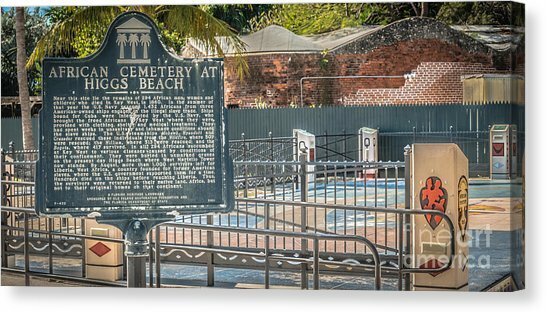 While most of the refugees were eventually returned to Africa, 295 died at Key West, most likely from illnesses resulting from the brutal conditions aboard the slave ships. 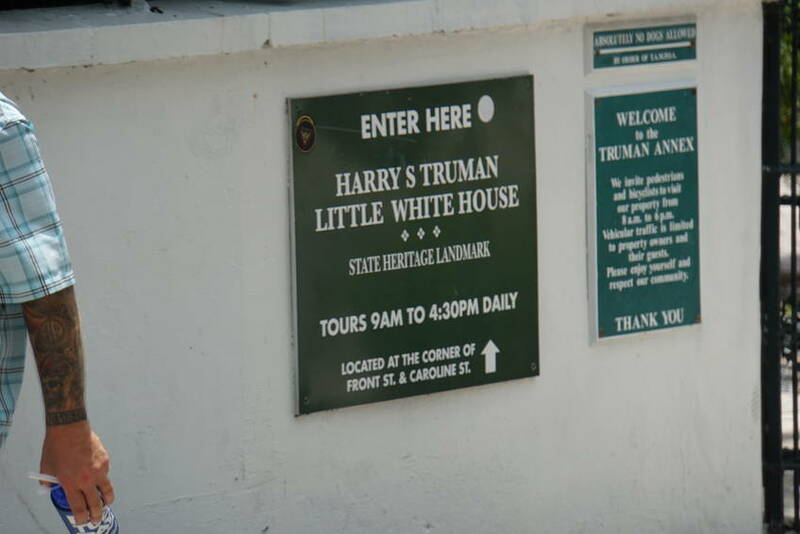 They were buried in unmarked graves along the island’s southern shore. Now slave trade was abolished in 1808. But some chose to still run under the law. 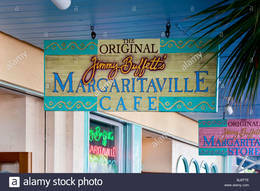 Ø Did you know Jimmy Buffet first Margaritaville was in Key West? 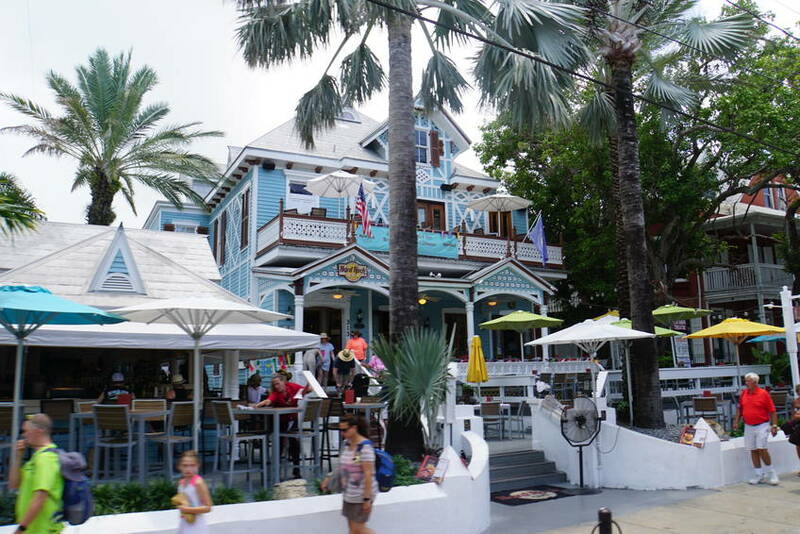 Ø Did you know there are 170 places to stay and drink just on Duvall St. Wow. Just think you could get drunk and still find your way home. 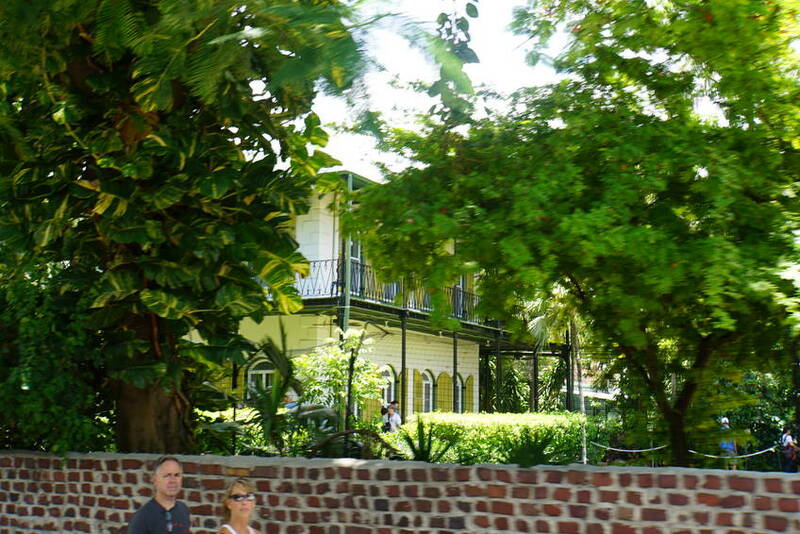 Ø Ernest Hemmingway loved Key West. He stayed quite drunk there. His favorite place has been renamed Papa’s Pillar. Why Pillar? It was the nickname of wife #2, Pauline Pfeiffer. 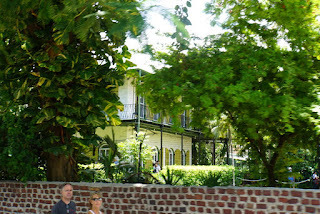 Ø Hemingway and his drinking buddies built the wall around his house. There are no straight lines. 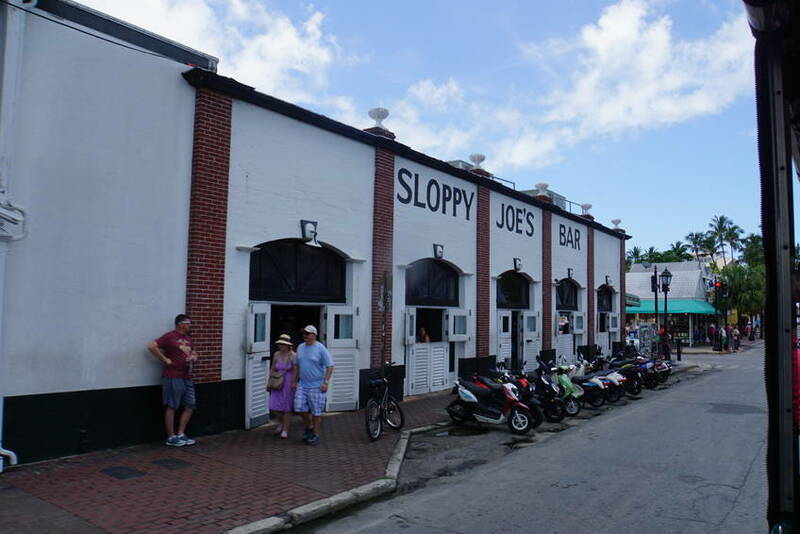 Ø Sloppy Joes owner got mad because his rent was going to go up $1.00 a month. 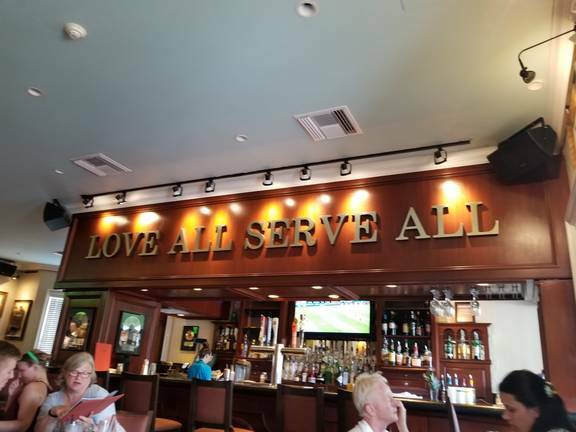 He was so determined not to pay the new rent that he told the drinkers to grab a bar stool and their drinks because they were moving right now. So all the drinkers did. Ernest Hemmingway was one of the drinkers. He only moved 2 doors down. 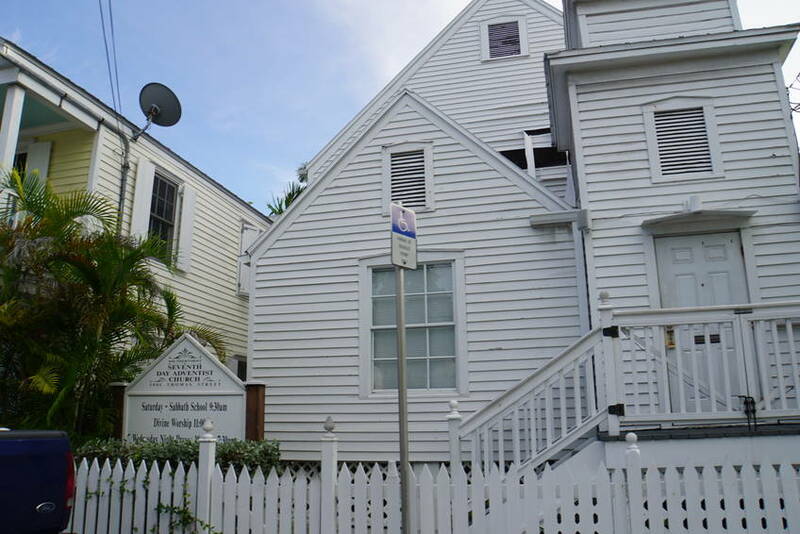 The site of the current place. 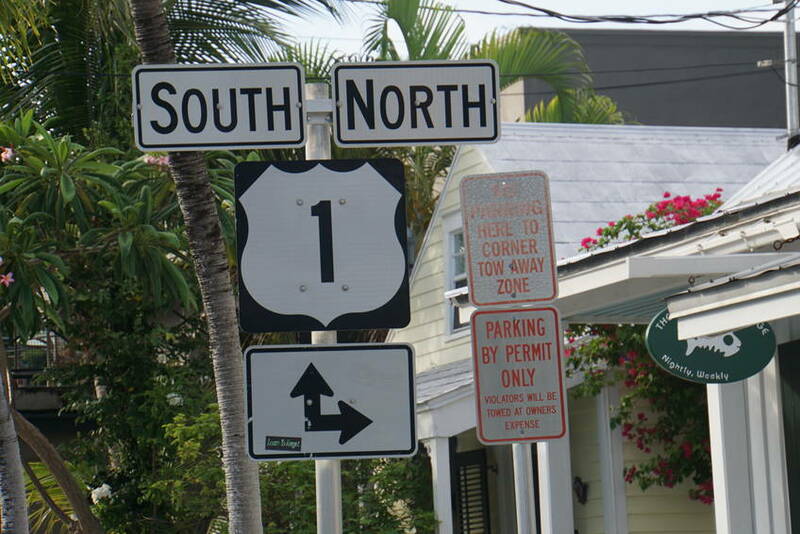 Ø Highway 1 starts in Key West and ends in Maine. 2,446 miles. 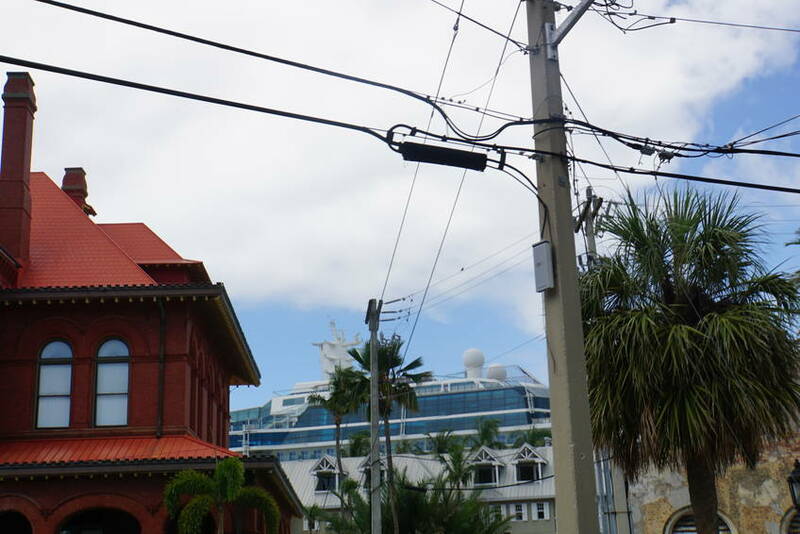 Ø Cruise ships come to port 3 times a week during the summer season. 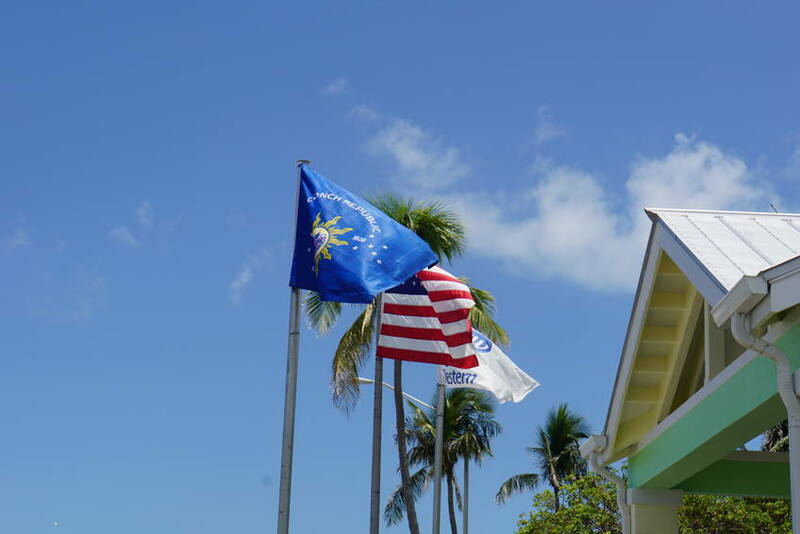 More if there are hurricanes on other islands. 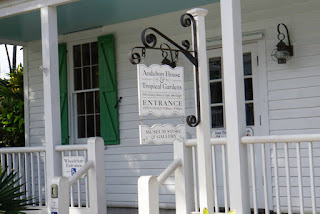 Ø John James Audubon never owned the house he is famous for in Key West. His friend John Huling let him come and write about the bird from there. 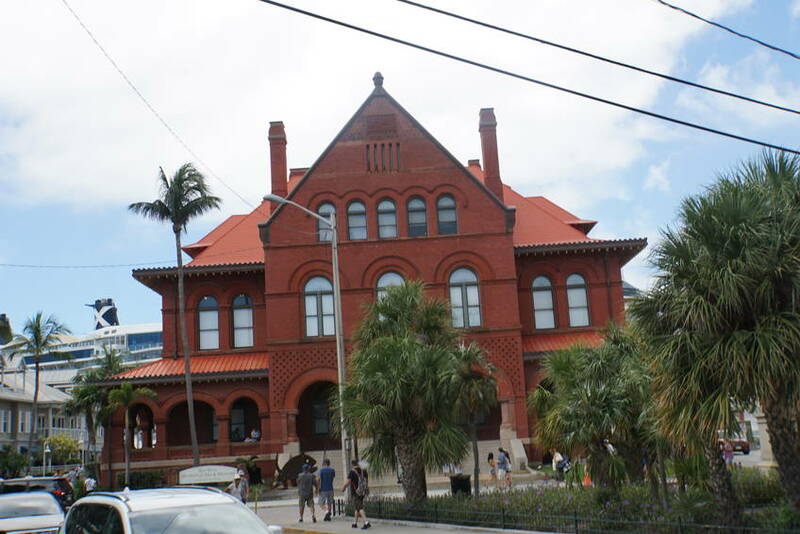 Ø Henry Flagler brought the railroad to Key West. The train rails can still be seen today near many of the bridges you have to cross. 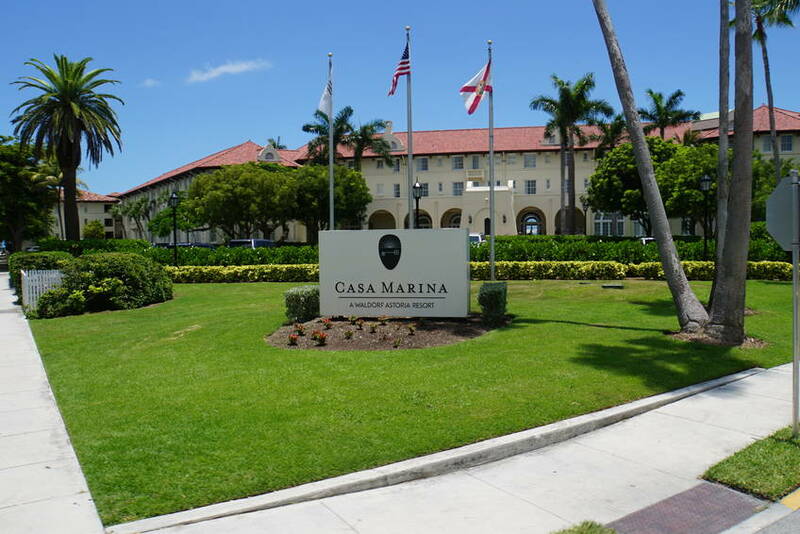 He also had Casa Marina built. Check Henry out. 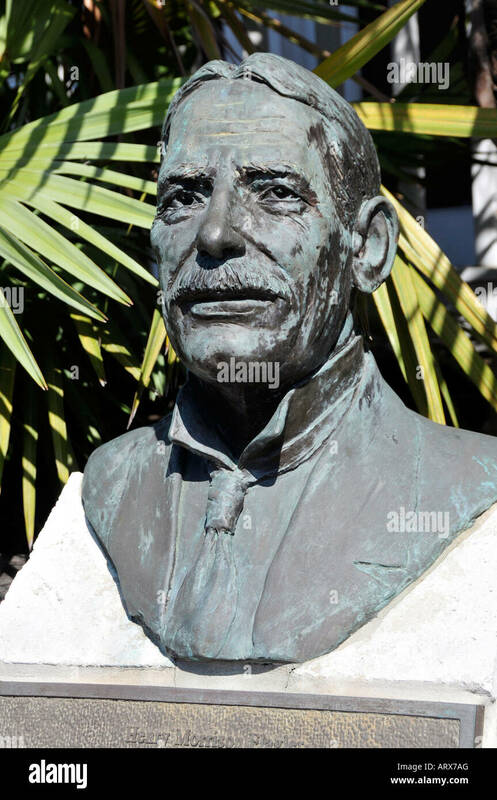 He did a lot to build Florida. 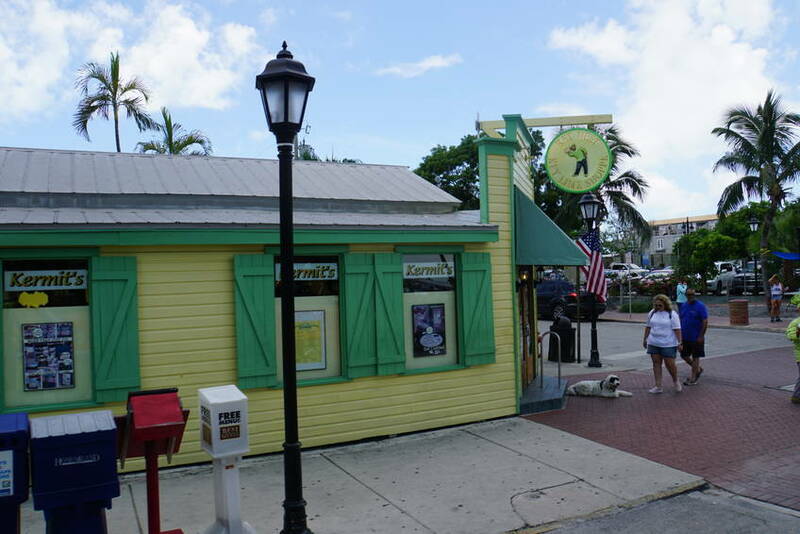 Ø Did you know that the key lime pie originated in the Key West area back in the early parts of the 20th century? 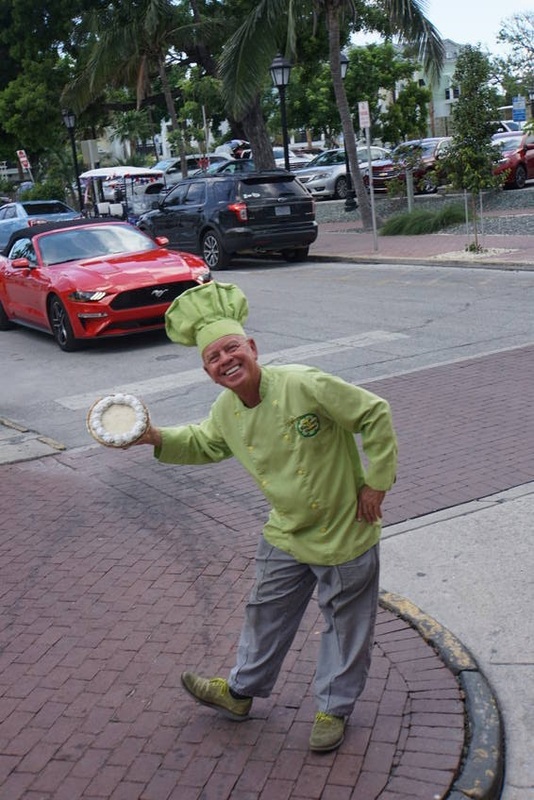 Kermit’s Key Lime Pie, is considered the best there is by Food Network, National Geographic and Paula Deen. 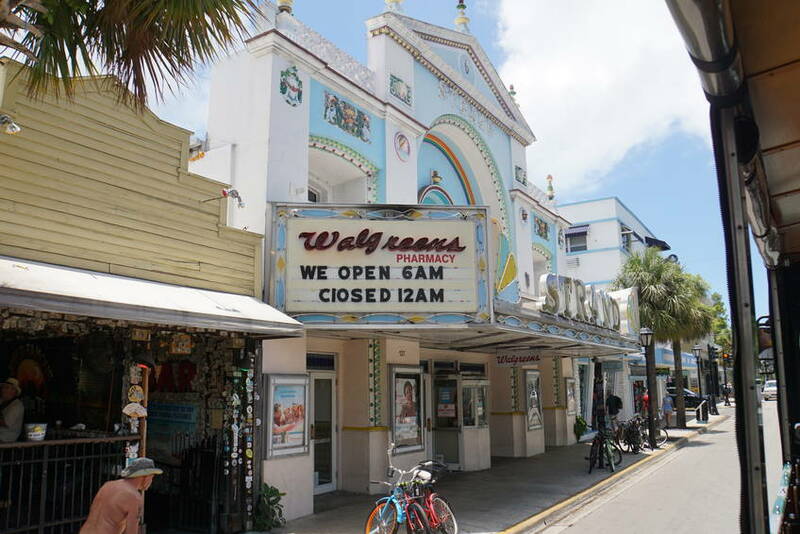 Ø Walgreens is located in the old theater. They were required to leave the front as it was. Ø A stone grotto was designed and built my hand by Sister Louis Gabriel to protect the island from hurricanes. 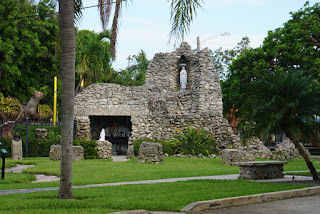 Even today it becomes the center of prayer in advance of a hurricane or tropical storm. 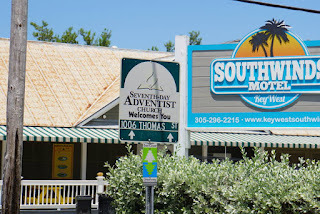 Ø There is an Seventh Day Adventist church on the island. We saw the sign on the tour and were determined to find it. 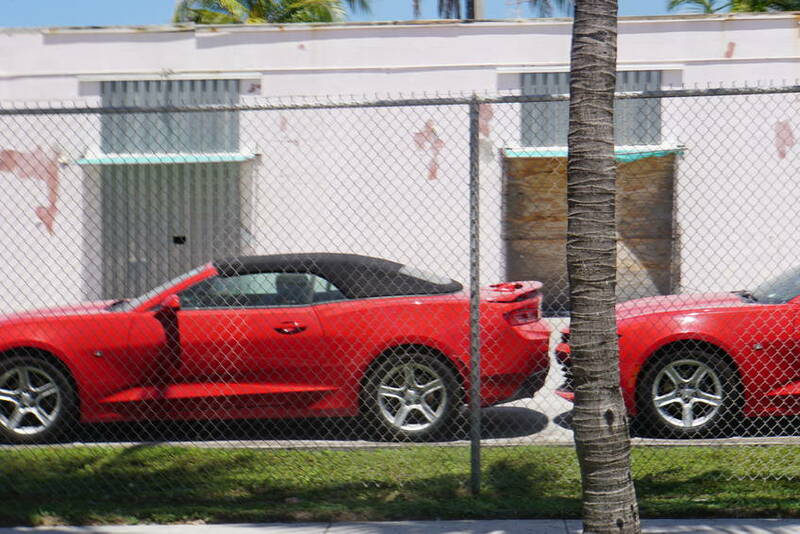 Ø The car rented the most on the island is a Ford Mustang. Why? Because it is sporty and people want to be seen with the top down. 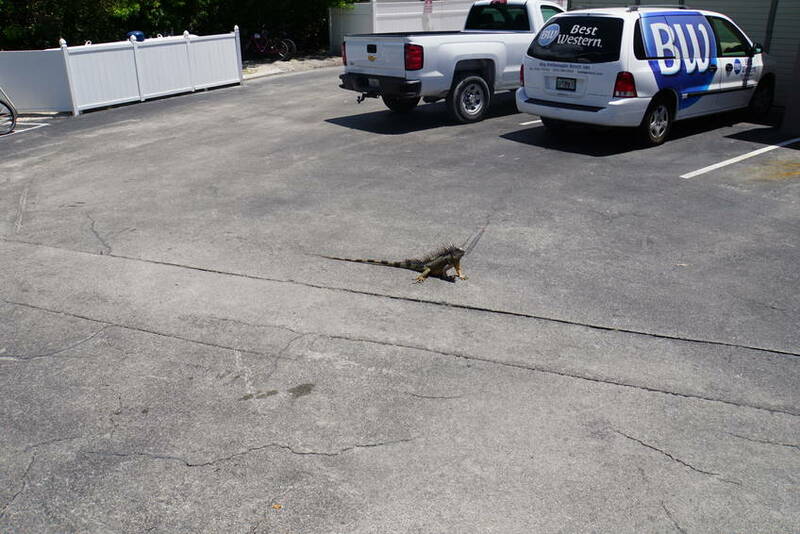 Ø Iguanas are everywhere. It is like the favorite pet of the island. I am good with that. Just keep them there. 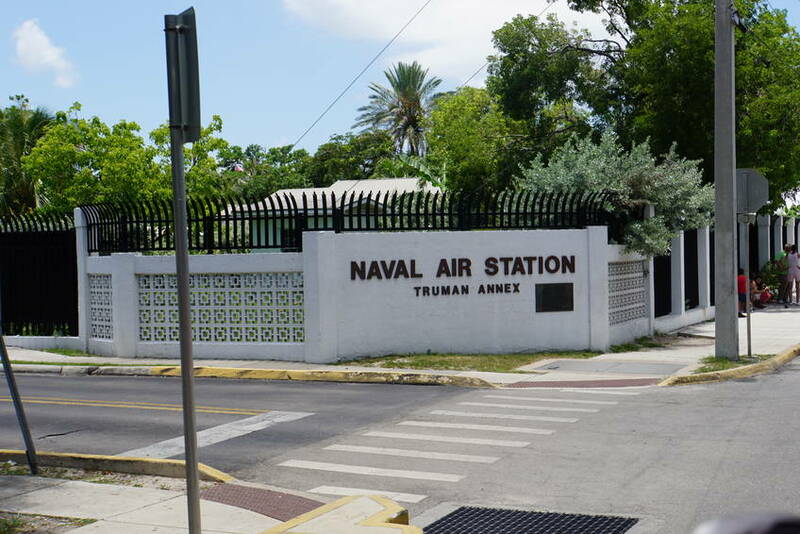 Ø Did you know that during the Cuba Missile Crisis, President John F. Kennedy said that Cuba was only 90 miles away from America? Well it is not true. It is really 95 miles away. 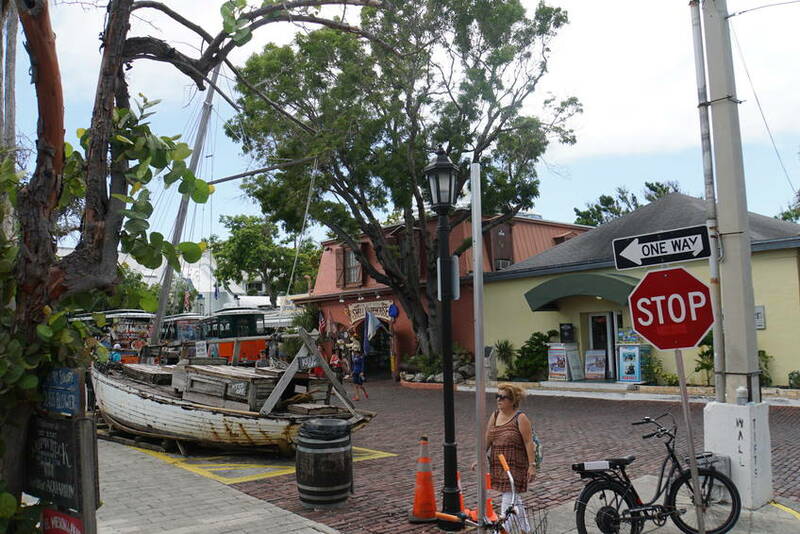 Key West is actually closer to Cuba than mainland Florida. We can take some lessons on immigration today. Ya’ll know I will find a Hard Rock Café if there is one in my vicinity. Found it. It was in the heart of town in a cute little house. Guitar pin collection here I come. 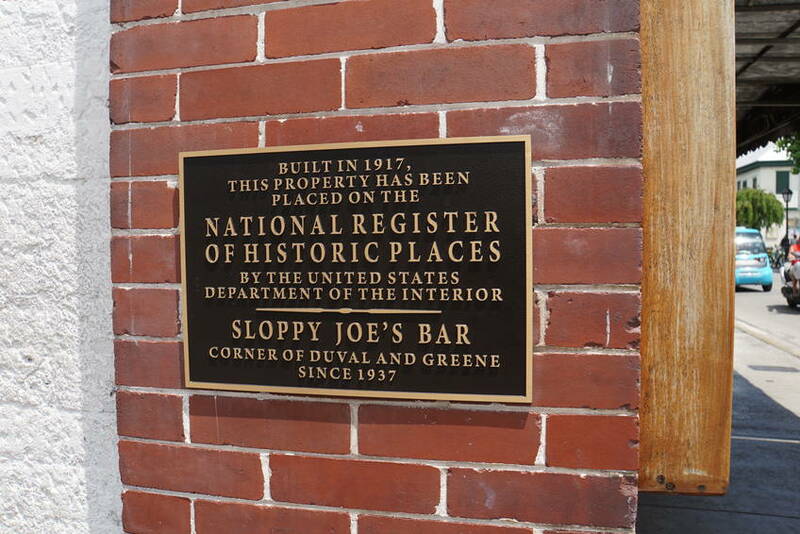 There is so much more history in this town. You may want to put it on your bucket list. 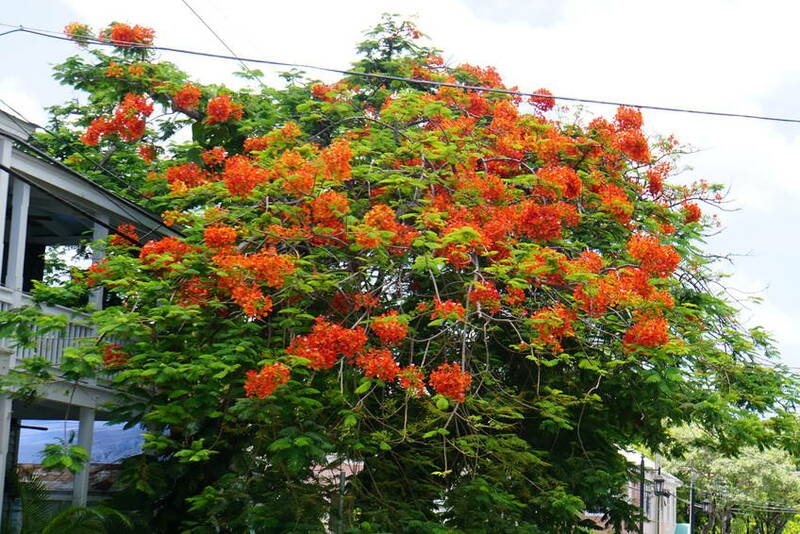 Oh, it's just as beautiful and colorful as ever.